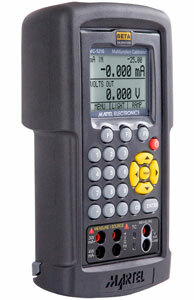 This Martel MC-1210 provides a unique feature set unequaled in high accuracy, hand-held process signal calibrators in its price range. The Martel MC-1210 multifunction calibrator provides the functions and accuracy associated with fixed-installation, laboratory instrument, and has everything needed for virtually any calibration tasks. Measure and source thermocouples, RTDs, current, voltage, and frequency, and source pulse trains. A communications port compatible with both Fluke 700 Series and Beta Calibrator pressure modules is provided, as is an isolated mA/V read-back circuit. Arrow keys, direct numeric keypad entry, and three software driven function buttons, plus a large back-lit, menu-driven graphics display combine to provide a highly intuitive, simple yet powerful operator interface. 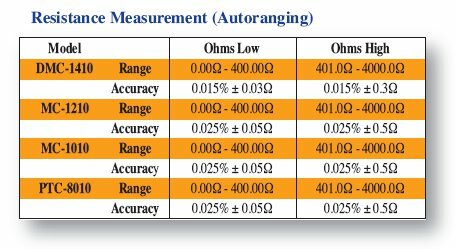 Built-in 250 Ohm resistor for HART compatibility, compatibility with smart transmitters and PLCs, full fuseless protection, are just some of the additional features that make the process calibrator the single most indispensable tool available for virtually any calibration task. This multifunction calibrator is supplied in a tough, rubber boot; a carrying case is also available as an option. In addition to the standard unit is the MC1210-50 version. All the functionality of our standard MC1210 with the ability to source/measure 50 milliamps. Pressure Measurement Capabilities - Martel Electronics offers 29 standard pressure modules, covering gauge, vacuum, absolute, compound, and differential measurements. 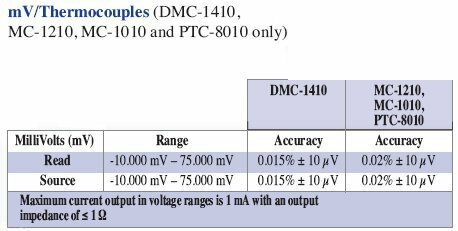 All modules are directly compatible with the Beta-Gauge II.With the Model BPPA-100 Pressure Module Adapter, all modules (with the exceptionof the DC measurement model) are fully compatible with the Martel MC-1210 and MC-1010 Multi-Function Calibrators, the BetaGauge 330, 321A, 311A and 301 Pressure Calibrators, the DMC-1410 Documenting Multi-Function Calibrator, and the Martel Electronics M2001 and 3001 Laboratory/Bench Standards. 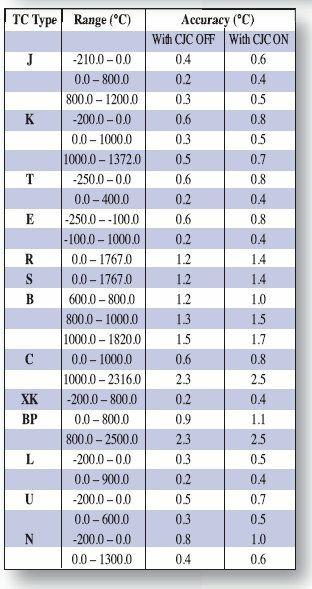 Pressure ranges may be displayed in any of 13 user selectable units.Water density correction factors of 4 °C, 20 °C, or 60 °F can be selected for either water column unit. The choice of pressure unit may be restricted by limitations on resolution of the instrument display of the particular calibrator the module is used with. For optimum mechanical strength, external pressure connection is made by a 1/8” FNPT 316SS connector welded to a stainless steel metal plate. Thermocouple Cable Kit Type includes type J, K, T, E cable with mini connector on one end, bare leads on the other end. Thermocouple Cable Kit for use on portable calibrator with Type R/S, N, B thermocouples. Includes mini connector on one end, bare leads on the other.